Welcome to Suizenji Amity! Our school is full of cheerful and motivated students and teachers who have a passion for learning. 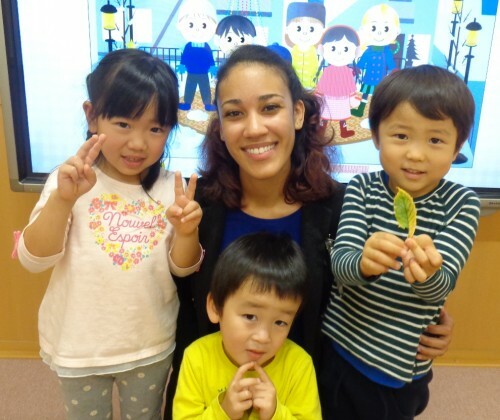 Students at Suizenji Amity are always cheerful and excited to learn something new. Our teachers are fully committed to the development of student's English speaking abilities. We love being here and our students love coming! Please feel free to visit or contact us at any time. Our new school is full of places to learn English. We have rooms for babies, i lessons, interactive, and even High School lessons! Our friendly staff is always happy to answer any questions you might have. Please talk to us about anything you'd like! Want a chance to study your English? We have a neat studying area where you can master your English listening and reading skills. Experience our new "i Lesson"! Learn and interact with the lesson in this new and fun way to learn English. We just opened a brand new school! Come and see how welcoming our colorful school can be. Come learn interactively! We have a large selection of fun English children's programs taught in the U.S.A.!